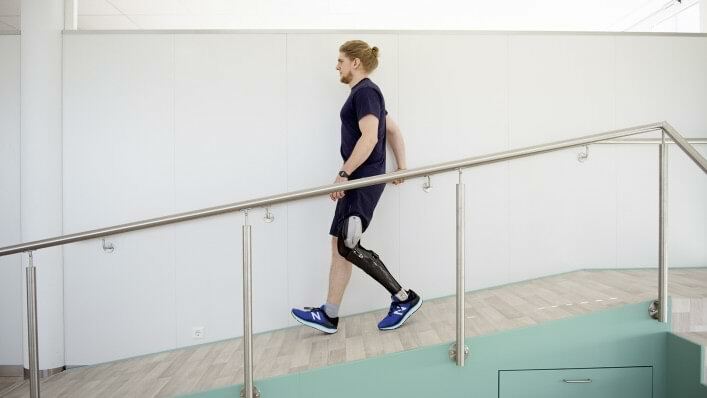 The computer-controlled C-Brace® KAFO opens up entirely new possibilities for freedom of movement. 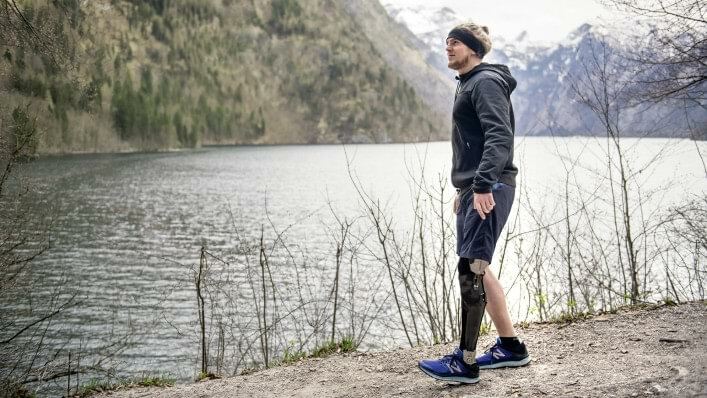 Flexing the leg under load, for example while sitting down, negotiating slopes, walking over uneven terrain or going down stairs step-over-step – the C-Brace® orthotronic mobility system is the first to make it all possible. 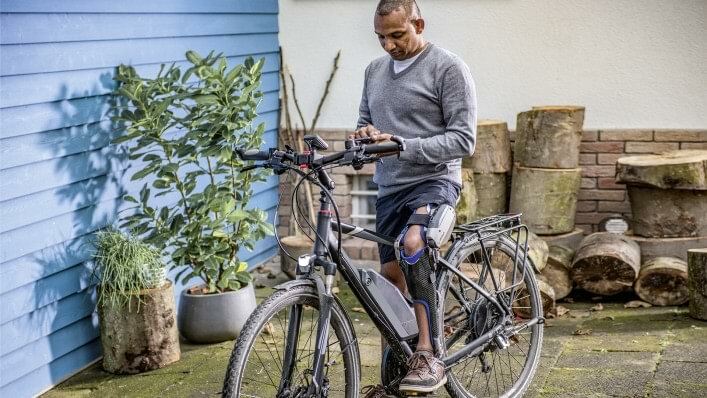 And the new C-Brace® offers additional advantages: it’s smaller and can also be worn under clothing; it’s lighter and the user doesn’t need to exert as much effort when walking. New sensor technology makes the entire gait pattern even more dynamic and responsive. The user can also change settings on their joint – such as switching to cycling mode – using a smartphone app. Like the technician, the user also benefits from a considerably simplified fitting process. The technician can now fabricate the C-Brace® directly using two different fabrication methods and also configure individual user settings via a tablet. The technician can use various fitting options for the ankle joint – tailored to the user’s individual needs. The LED display lets users check the status, such as the battery charge level. It is readily visible. 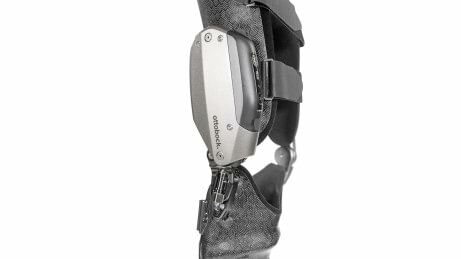 The footshell of the C-Brace® is fabricated and individually fitted by the technician. Two fabrication methods, prepreg and Orthopox epoxy resin, are available. 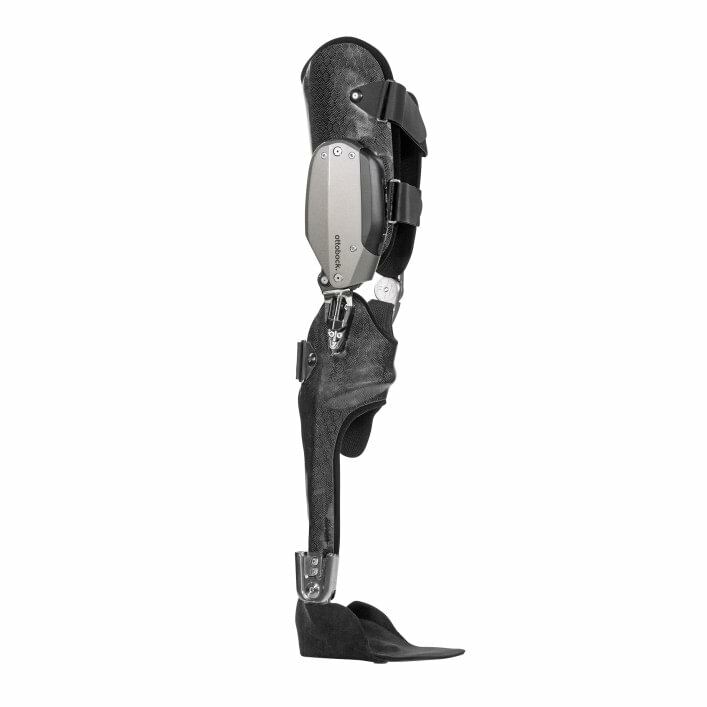 Made of fibre composite material, the lower leg shell is fabricated and individually fitted by the technician. Two fabrication methods, prepreg and Orthopox epoxy resin, are available. 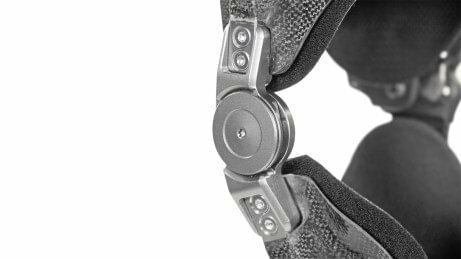 All of the technology in the new C-Brace® – including the hydraulics, 3D sensor and microprocessor – is contained in the joint unit. 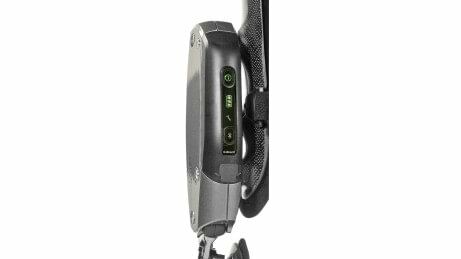 The microprocessor receives and processes the sensor signals and controls every phase of walking with the C-Brace® in real time. The medial support is available in four different versions, so the ideal selection can be made for the user. The thigh shell is fabricated and individually fitted by the technician. Two fabrication methods, prepreg and Orthopox epoxy resin, are available. 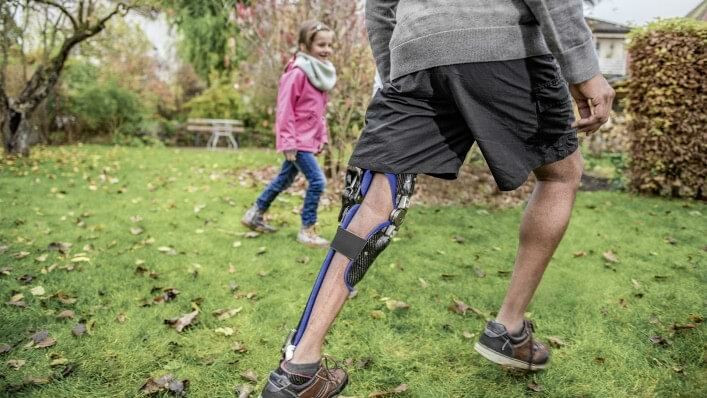 Walking slowly or quickly, running on inclines or in rough terrain, avoiding tripping situations, walking down stairs step-over-step or flexing the leg under a load: the C-Brace® lets users experience new freedom of movement. The new C-Brace® is small enough to be worn inconspicuously under clothing. Because it’s lightweight, the user expends less effort while walking. The C-Brace® enhances safety by responding in real time, including in possible tripping situations: the user can step or sit down with the knee flexed and walk on uneven terrain or slopes. Users can conveniently control their C-Brace® with the Cockpit app, for example when switching to cycling mode. 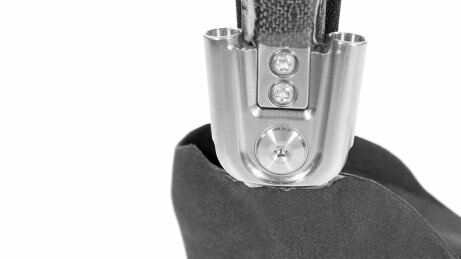 The O&P professional uses the Setup app to individually adjust the C-Brace® in simple steps. The new sensor technology makes the C-Brace® even more intuitive to use; movement patterns are even more dynamic and responsive. The new C-Brace® can be constructed by certified O&P professionals directly at the medical supply company. Both the user and technician benefit from simplified fabrication. 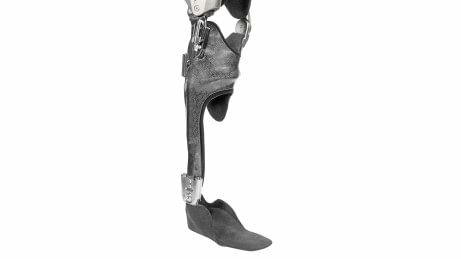 The C-Brace® consists of individually fabricated thigh, calf and foot components. An ankle joint (unilateral or bilateral fitting) or an individual spring element connects the foot and calf components. The sensor system continuously measures the flexion of the knee joint and its angular acceleration. 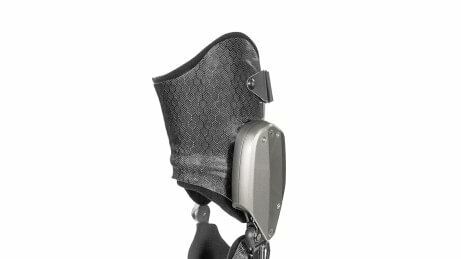 This lets the C-Brace® detect the user’s current walking phase, so it can regulate the hydraulic resistances as well as control the flexion and extension of the knee joint. How can I find out whether the C-Brace® is suitable for me? The C-Brace® is suitable for a wide range of neurological indications. However, a detailed anamnesis – that is, an examination by a doctor or O&P professional – is required on a case-by-case basis in order to determine whether the C-Brace® is actually appropriate. Before you are fitted with a C-Brace® orthotronic mobility system, your certified O&P professional can use a diagnostic trial orthosis to determine whether you are able to use the functions of the C-Brace®. Please talk to your O&P professional, and he or she will advise you in detail. 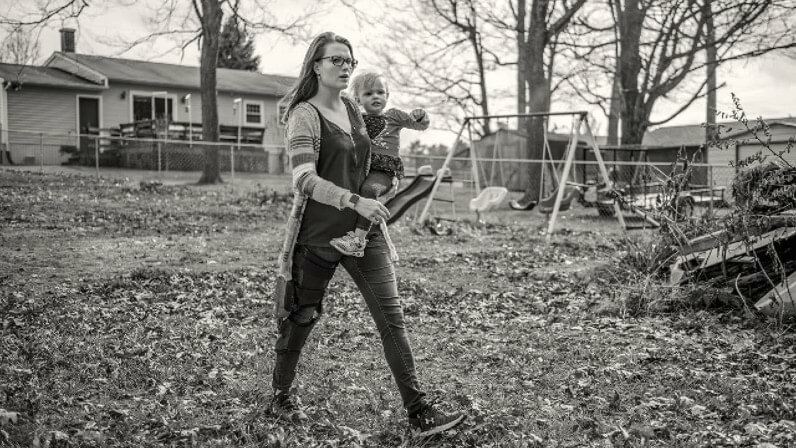 How long does it take to learn to walk with the C-Brace®? Many different factors determine how soon you can walk with the C-Brace® and whether you are capable of exploiting its full functionality. As always, your personal physical condition is an important factor here. However, your certified O&P professional will provide you with expert advice regarding this as well. How do I learn to use the C-Brace®? When you are fitted with a C-Brace®, your technician will of course explain the proper use of the orthosis to you in detail. 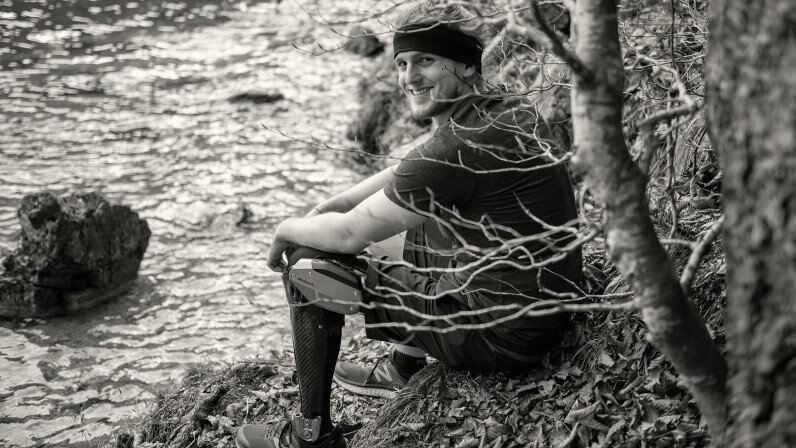 In the course of special training and exercises, you will learn everything you need to know in order to use your C-Brace® to its best advantage. The C-Brace® is not suitable for showering. 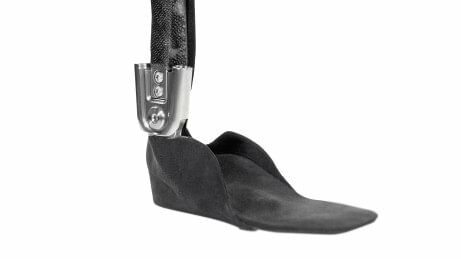 However, Ottobock’s Aqualine orthosis system is a waterproof walking device designed especially for wet conditions. All of its components are designed for contact with water.